The Sony HVO500MD/SUR (HVO-500MD/SUR) Medical Video Recorder is the ideal choice for recording and playing back extremely clear and detailed images of medical exams in Full HD. At a time when recording technology is a critical part of the medical workflow, The Sony HVO500MD/SUR (HVO-500MD/SUR) Medical Video Recorder offers Full HD image quality for documenting procedures and reviewing cases, plus quick turnaround for sending information to colleagues or referring physicians. 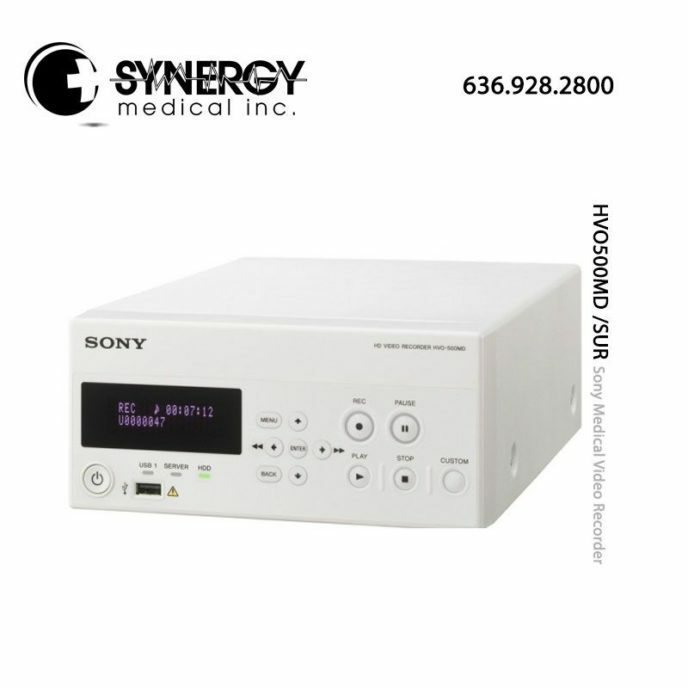 For more information regarding the Sony HVO500MD/SUR (HVO-500MD/SUR) Medical Video Recorder please visit www.pro.sony.com. FSN FS-MV8820 Multi Display Viewer We offer special pricing & volume discounts for Government, GPO, Health System, & Healthcare Facilities. Contact us for details.